It’s sounding more and more like Chase Daniel will be the Bears starting quarterback Thursday when they take on the Detroit Lions in a Thanksgiving showdown at Ford Field. Bears quarterback Mitch Trubisky is officially listed as doubtful for Thursday’s game against the Detroit Lions according to the team’s official website. It seems clear Trubisky is not going to play on a short week with his shoulder injury. Daniel will start his first regular season game since 2014 and Tyler Bray will serve as the backup. Trubisky will likely return for the Week 13 game against the New York Giants. 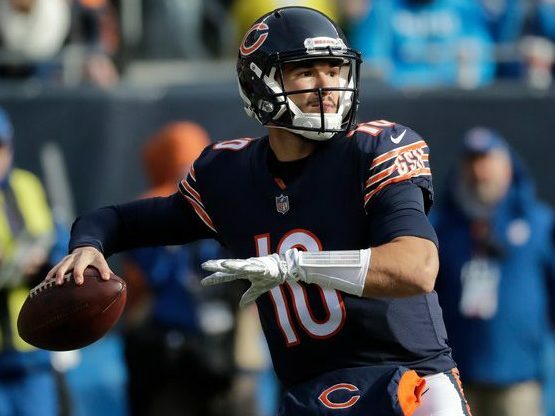 Be the first to comment on "Chicago Bears List QB Mitch Trubisky as Doubtful; Chase Daniel to Start Vs Lions"